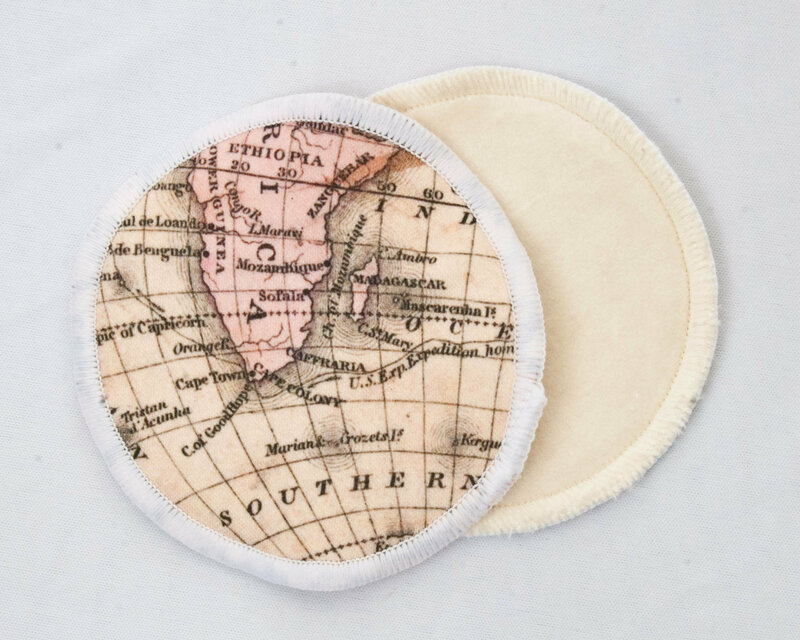 These awesome nursing pads are made of a luxurious soft bamboo velour, a super-thirsty layer of bamboo fleece and lined with PUL to help prevent against leaks. Available in the same fabulous prints to match with your baby's awesome diapers. And what could possibly make them any better? These are finished and ready-to-ship! The perfect gift for the eco-friendly fashionable momma! • Nursing Pads are approximately 4 inches in diameter. All nursing pads are handmade by me, The Albino Squirrel, in Warner Robins, Georgia, USA. To fulfil your order, you must provide me with certain information (which you authorized Etsy to provide to me), such as your name, email address, postal address, payment information, and the details of the product that you’re ordering. You may also choose to provide me with additional personal information (for a custom order of personalized embroidery, for example), if you contact me directly. For purposes of EU data protection law, I, Angela Butts, am the data controller of your personal information. If you have any questions or concerns, you may contact me at info@thealbinosquirrel.com. Everything is always neatly wrapped and packaged as a gift. Care instructions for Cloth Diapers: Machine Wash / Tumble or Line Dry. If tumble drying, the only caution is not to stretch the elastic while it is still hot so as not to cause premature relaxation. No bleach, laundry additives or softeners. If you need help with a wash routine, be sure to check out fluffloveuniversity.com - They have all the information you could ever need from washing instructions, best detergents to use, diaper-safe rash creams, troubleshooting and more! • USPS Tracking is always provided when items ship. • Buyer assumes responsibility and waives The Albino Squirrel for all liability including delayed transit time, lost package(s), damaged package(s). • Please be sure to verify your shipping address is correct prior to completing checkout. Can cloth diapers be used as a swim diaper? YES! A POCKET DIAPER left unstuffed makes a great swim diaper.